Today on our show, we have a very special guest. 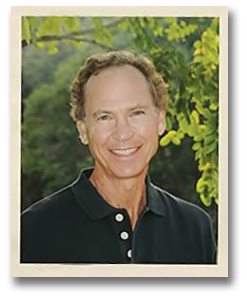 Mr. John Robbins is the bestselling author of "Diet for a New America" and his new book "Healthy at 100." John Robbins is the only son of the founder of the largest ice-cream chain in the world, Baskin Robbins. Instead of inheriting the overwhelming wealth and privilege of this ice-cream empire, Mr. Robbins chose to disavow his inheritance and become a vegan activist. He published his Pulitzer Prize nominated book, "Diet for a New America" in 1987 in order to showcase the problems of factory farming and to encourage others to follow a plant-based diet. Within five years following publication of his book, beef sales in the United States dropped by nearly 20%. 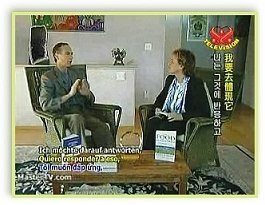 Since that time, he has traveled throughout the world speaking and writing about all aspects of healthy living, including writing numerous other bestselling books. We are honored to share with you his inspiring example of healthy living. Mr. Robbins shares with us his profound thoughts and inspiration which followed the publication of his first book, "Diet for a New America." 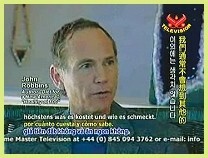 Let's now join Mr. John Robbins. Interviewer: In "Diet for a New America," you do a very thorough research on the environmental, social and health impacts of animal production for food. Could you speak a little bit about the values in relation to our food choices, and the impact that might have on the people around us? John: That's a great question. Most often when people buy food at the market, restaurant or the fast food store, they don't really think about it except for how much it costs and how it tastes. Maybe they think a little bit about what it's going to do to their waistlines and that's usually about it. But there are so many more consequences, from the choices we make, on our health that we don't tend to think about, and also the health of the world. On the environment, on the people who are involved in food production, there are social implications, there are enormous consequences to the way we as a culture eat, the way we as a community prepare our food, the way we as established individuals share our food; and I've tried to enlarge people's thinking around it, make people more aware that there is an animal involved. For example, if you're eating meat, drinking milk, eating cheese, or any kind of animal product, there is an animal at one end of the system. What happened to that animal? How was it treated? Because modern meat production has developed in a particular way that makes for profit, for agribusiness, but it makes for enormous suffering for the animals involved. They are confined in what are called intensive conditions that often give the animals no more space than their body requires; they're in cages the size of their bodies. They would actually have more space if you stuffed them into the trunk of a sub-compact car and kept them there. They can't move at all, and that's the point. Because if the animal can't move, it can't, so to speak, waste calories in movement. So it's profitable but it's horribly cruel. Modern factory farming is unbelievably cruel. It violates the instincts and the needs that are basic to the animal. I'm talking about cows, I'm talking about chickens, I'm talking about turkeys, and I'm talking about pigs, veal calves. All the animals that are involved in modern meat production are treated by large scale animal agriculture as if they had no needs of their own, as if they weren't living beings; they're just commodities in a supply chain. The fact that they have any kind of instinct and need for space, for movement, any kind of social needs, any kind of need, not to be in abject pain, is not part of the equation. So as consumers, we need to grasp that as the reality, and we have to ask, "Is eating products from systems like that in alignment with our values?" If we are people who want there to be peace on Earth, we want to begin with ourselves. If we are people who want there to be less suffering in the world, then we want our lives to contribute to less suffering. If we are people who want the world to be a thriving, prosperous place for all kinds of creatures, then what are we doing to our bodies, what are we doing to the Earth, and what are we doing to the entire Earth community when we eat food that's produced in that way? I think it's a violation of the human-animal bond, I think it's a violation of our own spirits. I know it's absolutely devastating to the animals that are involved, and I can't ignore them. I can't sit down to eat and think, "Oh, it comes from the butcher," and not remember the eyes of cows I've looked into. Not remember cats and dogs I've loved and thought, "Well, why do we make this interesting distinction?" In this culture, we tend to do this. We call some animals pets, we love them, we lavish our care on them, and we often experience that they are part of our families; it's quite beautiful actually. But then in another group of animals, we call them dinner; and by virtue of that distinction, we feel that it is acceptable to visit upon those animals any matter of cruelty as long as it lowers the price per pound. What level of distinction are we operating there? Does that line go right through our hearts and split us in two? I think so. My work has been very much about awakening people to the reality that how animals are treated in meat production and in food production is something we need to consider if we want our food choices to be in integrity with our hearts. If we want our lives to be a statement of compassion, not cruelty, then we need to look at the choices we're making and what really are the consequences. Mr. Robbins dedicated his two books "Diet for a New America"
and "Healthy at 100" to Master. I: So the thing that was so beautiful about "Diet for a New America" is you presented very thorough research on the environmental impact, and the greater community that many don't think of. Can you speak a little about environmental sustainability relative to food choices because that was a very enlightening thing for me when I first read your book? J: Thank you! Many people today want to lead more Earth friendly lives or want to create lifestyles that are in harmony with the planet, that don't consume egregious levels of resources, that don't create disastrous levels of pollution. It's becoming ever more obvious that the way we've treated the atmosphere, leading to destabilization of the climate, and in many, many ways our relationship to the Earth as a culture, is completely out of balance. So people are looking for how they can seek to correct that. And it turns out that the food choices that are healthiest for our bodies that lower our cholesterol, that make us the leanest, fittest instruments to operate in, that are kindest to the other animals because they don't have the kind of cruelty that's involved in modern meat production, are also the ones that are environmentally most benign. They consume the least resources. They allow the most of these resources to be available to feed other people. Therefore, they are the most honest and effective answer we have to world hunger issues. And they are ecologically the obvious, virtuous thing to do. I'll give you an example. It takes sixteen pounds of grain to make the average pound of feed live beef. And virtually all the grain eaten in the United States is feed live beef; and in all modern industrialized countries too. Sixteen pounds of grain to make a pound of beef, that's the feed conversion ratio. Well it only takes one pound of grain to make a pound of whole wheat bread or to prepare a pound of rice. We're wasting the other fifteen pounds. It's just basically going into manure which doesn't get used as a fertilizer because that's how the system has gone out of whack; it just becomes a pollutant in the water table. What happens when you eat lower on the food chain, you eat a more plant-based diet, you move in a vegetarian or vegan direction, you are in effect consuming far less resources, and therefore there is less water pollution, there is less air pollution, there is less soil erosion, there are fewer greenhouse gases involved. Basically you have a lighter footprint on the planet and you are taking a step with that footprint that leads other people. We are such social creatures around our food, and when you take a step that is honoring the Earth, that's living simply so others may simply live, that's honoring all of our children's right and need to have a livable planet in the future, that's honoring all of our rights and needs to have a stable climate in the future. And you're doing that with a food choice that's also healthy for your body and that is also kinder for the animals. You're in a state of integrity and you're in a state of clarity about who you are and what you want your statement to the world to be through the way you live. And you want that to be a statement of consciousness, conscience, compassion and care. Or do you want to be like unfortunately most people in the modern world and let it be a statement merely of convenience and unfortunately that translates into indifference to the planet, to the animals and in fact, to your own health needs? I: You mentioned the social aspects of food and I think it's very interesting in families, in modern culture we often do not have time to sit down to have a meal together the way we used to. So could you speak a little bit about your lifestyle choices particularly in terms of bringing together family? I know you live with three generations. J: We do! I live with my wife of forty years and our adult son, his wife and their six-year old twins, our grand-twins. We live with three generations in one house and we get along very well. We love each other, our values are deeply compatible. I don't think this is for everybody, but it works very well in our case. We prepare most of our food. We don't eat out very much. I suppose I would if restaurants were more compatible to the food choices I want to make. We eat a very simple and healthy diet. It's totally vegetarian and we do that for the reasons I've been talking about and also because it brings us together. In sharing food, we share time and space, we get to know each other, we're not passing by each other, we're actually engaging, connecting, and learning about one another. Therefore, we're learning about our love for each other, how we can make a difference in each other's lives and how we can support each other, how we can understand each other more fully. This is the kind of relationship building that in modern society often gets lost in the shuffle when people are so driven, they're so time-stressed, and they're so anxious frankly that they don't really connect with one another. I think we need to connect with each other and food is a wonderful medium for that. So rather than go out and eat fast food which isn't healthy for the environment, isn't healthy for us, is full of bad fats and animal ingredients that I don't want to touch, we prepare our food at home. We grow a lot of our own food in our garden; we shop at local farmer's markets, where local growers bring their produce; and we are also fortunate enough to have some natural food stores in the area which we also shop at. And we're making distinctions about what we do and don't want to put into our bodies, what we do and don't want to support in the world, in who, we in fact are, the kind of characters we're going to express by our lifestyle. I: So I want to ask you about food additives and particularly in animal production; there are a lot of hormones and other additives. We practice vegetarianism but we also don't eat eggs. There used to be a feeling that it is one of the most perfect proteins. Could you speak a little about eggs and the vegan lifestyle? J: Well, I don't eat eggs either. The idea that eggs are the perfect protein stems from rat experiments. They found that rats, baby rats, prospered when they were fed eggs, so they sort of made the assumption from that. This is originally the research. A lot has been done since, but that's how it first got started. Well it turns out that baby rats' needs are so different than a human baby's needs. Rat mother's milk is about 45% protein, a human mothers' milk is about 8% protein. So it's not a really comparable food. I look at the constituency of human breast milk as nature's answer to the question, "What is the ideal food for a human baby?" I don't look at what makes a rat grow the fastest, I look at what will help a human being thrive, and that's obviously human breast milk for a human infant. What we've learned since in medical science is that the need for animal protein was vastly exaggerated, because many of the studies were done and funded by animal product industries - the National Dairy Council, the Egg Board, the Meat Board, the National Cattlemen's Association, a whole slew of industry groups that profit from people thinking they need to eat their products to get adequate protein. Plant-based proteins are more than adequate, they are excellent. And they don't come along with the saturated fat, cholesterol and these other things that the animal proteins come with that do us such damage. If you want to have a lean, fit, thriving body that operates on all cylinders, gives you the most mental clarity, the most emotional serenity, gives you the most physical strength and strongest immune system, eat a plant-based diet. You don't need eggs for protein; you don't need meat for protein. I cannot tell you how many times people have said to me, "You're a vegetarian? Where do you get your protein?" Well I get it from plants, I get it from beans, I get it from seeds and nuts, I get it from whole grains, I get it from vegetables, because I don't fill my diet with a bunch of junk food, and I don't fill my diet with a bunch of sugar, white flour and things like that. I make every calorie count. I don't have a lot of wasted empty calories in the diet that I consume. Therefore the protein percentage doesn't have to be so high. If the calories you're eating, most of them, are junk and empty, then the few remaining ones that have any nutrition better be solid protein in order for you to get enough. But if all your foods are good, then protein comes from all the foods that you eat. You don't have to say, "There's where I get my protein." I'm getting it from all of the foods that I eat. There is good protein in whole grains, fresh vegetables and certainly in beans and in soy products. I: So vegetarian and especially a vegan diet is a way to become, as in the title of your new book, "Healthy at 100." J: Well yes, I've looked at cultures where people have thrived for the longest times, where they're not just champions of longevity and that they live long but they live long, healthy lives. And their elder hoods are filled with fitness, mental clarity, contribution, joy and beauty; and they almost always eat plant-based diets or very close to this. I: Yeah, that's interesting. I also wanted to congratulate you on the "Shining World Leadership Award" for humanitarianism from Supreme Master Ching Hai. She was very excited and impressed with the nobility you demonstrated in walking away from what could've been a very wealthy lifestyle, in the name of your values and your choices. J: Well I did it in the name of all of our aspirations for a humane and sustainable world. It wasn't just for me. It really was for the planet, for all of us who are striving and inspiring towards creating a spiritually fulfilling, socially just and environmentally sustainable human presence on this planet. I: Thank you so much for your work because I've read that for a couple of years after "A Diet for a New America" came out, beef sales in the US dropped almost 20% and there's been Howard Lyman and a number of other activists that have brought out the terrors of what has gone on in the beef industry. So I think it's interesting to see the ripple effect 20 years later. J: And I mean you can translate that 20 % reduction of beef consumption into how many fewer heart attacks occurred, how many fewer cases of cancer occurred, how much less diabetes there was. Not that these epidemics aren't still major issues, but they have been to a degree ameliorated by that reduction. You can also translate it into how many square miles of tropical rainforests are still standing that would otherwise would have been destroyed? How many species are still with us that would otherwise have been extinguished? How much less water pollution we have to deal with, how much less greenhouse gases are in our atmosphere as a result of that reduction? We're still trashing the environment, but this was a big step; and I will feel fulfilled only when it is a step that many other people take, and we continue on that path, because the day that slaughter houses are a memory, the day that world hunger is a memory, the day that environmental destruction is a memory, will be the day that I rejoice. I: I agree with you. The members in our Association all over the world have been doing a campaign on Alternative Living, trying to bring the word to people to associate compassion with our diet choices. J: People today are very removed from animals and if they have images, they are of family farms and animals running around on the farm. Modern meat production has become something totally institutionalized and utterly dominated by the profit motive and a true violation of the human heart's need to live in integrity with the well-being of other forms of life. I: So one last question to you on that note is in terms of your own spiritual motivation in life. We all meditate in our Association but a lot of people have different forms of practice. What is your secret to success in spiritual harmony? J: Well, I meditate also. I do everything I can to quiet my mind, open my heart, and to be fully present and tuned to the higher wisdom of life and to the instinct for goodness and wellness in everyone. I want to respond to it, I want to welcome it, I want to honor it. I think that there is some good in everybody and if I can look for that, then I can be a place in which their own spirit, their own joy, their own sense of contribution and gifts can come forward. Then I am happy. I: John you walked away from a very large empire, the Baskin Robins kingdom. For the viewers that may not know Baskin Robins, it is the largest ice-cream chain in the world, more than 5,000 stores worldwide, promoting 31 flavors of ice-cream. Your father and uncle began this business and you were not a fan of ice-cream. J: Well I was. I grew up as a child being groomed to succeed my father. I'm an only son and I don't have brothers so it was expected that I would one day follow in his footsteps. He owned and ran the world's largest ice-cream company, a multibillion dollar company. He owned it along with my uncle. My uncle died of a heart attack in his early 50's. A very large man, he ate a lot of ice-cream as we all did. When he died, I asked my dad if there could be any connection between my uncle's fatal heart attack and the amount of ice-cream that he would eat. My dad froze, looked at me, and said: "His ticker just got tired and stopped working." I saw the denial in my dad's face and I realized why he would need to block that, because he had by this time manufactured and sold more ice-cream than any other human being that's ever lived on this planet. He did not want to think that, that product was hurting anybody, much less that it might have played a role in his beloved brother-in-law and partner's death. But the reality is that the more ice-cream you eat, the more likely you are to have a heart attack, also the more likely you are to get diabetes; and my father developed very serious diabetes. And it's not just Baskin Robins. In the United States another very large ice-cream chain is "Ben and Jerry's." Ben Cohen was the co-founder and co-owner for years and he had a quintuple bypass procedure at the age of 49. That's how ill his cardiovascular system had become, that's the level of cardiac distress he was in; and he also is a heavy set fellow who ate a lot of ice-cream. I am not saying an ice-cream cone is going to kill anybody. But I did not want to be selling a product that the more you ate of it, the more you consumed of it, the wealthier I would be and the sicker you would be. I didn't want that on my conscience. I wanted instead to shape my life such that I could be a vehicle for a more healing and a more compassionate world. Although I was offered the opportunity to be as extraordinarily wealthy as my father is, I walked away from that entirely and I told him, "I don't want a trust fund, I don't want an inheritance, I don't want to live off of your fortune, because I want to seek my own values and I want to live completely congruent with that. I want to find my own powers and my own path in life and I want to follow the inner, the divine call that I feel. I don't know where it will lead." I was a young man. I couldn't say to him, "Oh, I'm going to write books that are going to be nominated for Pulitzer Prizes and become best sellers. Who knew that would ever occur. I only knew that I had a commitment within myself, a conviction, and that I had to be part of making the world a better place for all of life; and selling ice-cream just didn't fit with that. So I walked away from it and I made a choice for integrity. It was not a choice my parents felt real happy about. There was an alienation as a result of it, although a lot of that's been healed in subsequent years. The reality is that although I don't have anything like the financial wealth that I would have had, you know if I had stayed with Baskin Robbins, I have an inner wealth, that comes from knowing that my life is in alignment with my heart, and I think that's priceless. I: Thank you so much for your work. Interviewer 2: Thanks for having us here. Your Pulitzer Prize nominated book, "Diet for a New America," truly was a revolution in public awareness for proper nutrition and the wisdom of a plant-based diet. So in recognition of your tireless efforts to promote vegetarianism and saving the lives of countless innocent animals, it's my honor to present to you on behalf of Supreme Master Ching Hai, this "Shining World Leadership Award" for humanitarianism. Thank you for being a model of wisdom and compassion for millions of people all over the world. J: Thank you. I accept it on behalf of everyone who is striving for a humane, joyful and sustainable future. 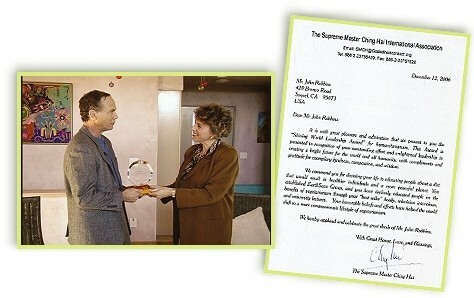 J: Thank You (Supreme Master Ching Hai) for this award and most significantly, thank You for the work You've done, are doing, and are encouraging others to do to awaken humanity to its responsibility - to live a compassionate life and to do so honoring the spirit in all beings. The "Shining World Leadership Award" was presented to Mr. John Robbins.